Course Description: Hyperion Admin course will help you develop specific Administrative skills of Essbase, Planning, Financial Reporting, HFM, FDM, so you're able to support Hyperion projects. Hyperion Administrators need to have strong Admin skills in order to support Hyperion projects efficiently. 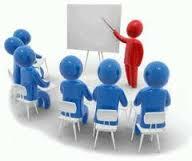 * Class Delivery: Online Class/ Class Room Training. * Learning Material: Complete material for Theory. * Lab: Exercises/practices on real-time Projects. 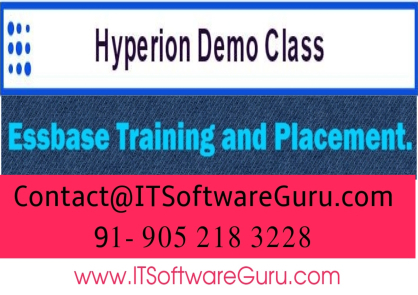 * About Hyperion Trainer: Hyperion Trainer is an Hyperion Real Time Expert in all Hyperion modules, have 8 years USA/India experience in Hyperion Admin, Development, Support of Hyperion different modules. He is working in MNC. * Audience/ Prerequisites: Hyperion Admin course is ideal for General Technical background, Basic System Administration experience, Developers, Technical System Administrators, IT Professionals, Database Administrators, Security Administrators, Database Designers, Application Developers who wish to include a valuable addition in their skill set. * Course Topics: Hyperion Admin Training will cover Installation and configuration, optimization, maintenance and security, Perform backup, recovery, application migration and task automation. 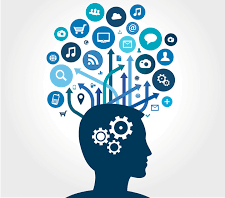 Hyperion Admin Training cover following topics. 6. Data flow and integration between each module. Labels: Hyperion Admin Training, Hyperion Administrator Training, Hyperion Infra Training., Hyperion Infrastructure Training. * Hyperion Market Experts says the Better Market is Hyperion Job Market- 2019 than 2018. * Hyperion Market Experts says the Better Hyperion Job Market: Q2(April & May.2019). * Apr.2019- Very Good. Hyperion Job Market: Hyperion Professionals enjoy competitive salaries, excellent health benefits, and a network of like-minded colleagues that drive innovation across the entire IT industry. 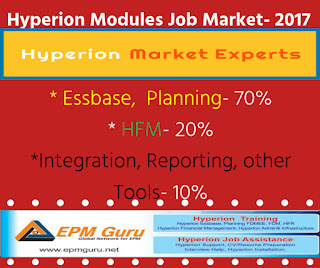 Hyperion is great competitor for IBM Congnos, SAP BO, Microstrategy etc in the EPM Market jobs. 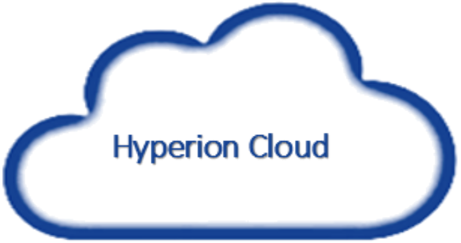 Over the last 20 years Hyperion has revolutionized the way that software is developed across the IT industry. * 7 Years Experience- $70 per Hour. * 8 Years - $80 per Hour. 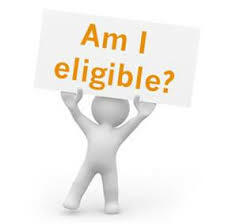 * 9 to 15 Years - $90 to $300 per Hour. * Get a better "Hyperion Resume" ? * Hyperion Real Time Training, Interview help and Placement. Get a better "Hyperion Resume" ? getting Trouble with Hyperion Project? 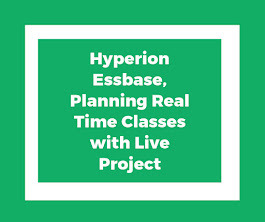 * getting Trouble with Hyperion Project? * getting Trouble with Hyperion Interviews? What does a Hyperion Infrastructure Administrator Do? How to Automate Hyperion Admin?